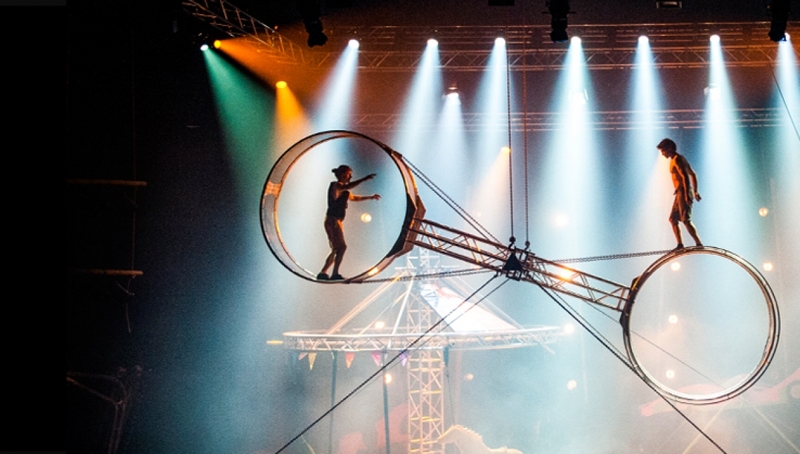 CircusFest is nearly upon us with three weeks of the most extraordinary international and UK contemporary circus, and we are delighted to invite members to an exclusive look behind the scenes with a tour hosted by our Senior Producer, Leila Jones. Witness our Main Space being set up for a Circus spectacular, have an exclusive peek backstage in the dressing rooms where world-famous stars have prepared and hear some of the stories from the building’s fascinating history. Please note that places for this event are extremely limited and will be allocated on a first come, first served basis. Please follow the link above to purchase tickets online, or call 0207 424 8455 to speak to a member of the Membership team. Following the tour at 2.30pm there will be a matinee performance of Super Sunday. If you would like to stay and watch the performance, tickets are available to purchase online. Maximum 3 tickets per order.